On August 12, after years of discussion, the Convention on the Legal Status of the Caspian Sea was finally signed in Aktau, Kazakhstan. The Caspian Sea or the largest lake on the Earth is bounded by five countries: Kazakhstan, Russia, Azerbaijan, Iran, and Turkmenistan. The sea is rich in exploitable oil and gas resources, nearly 48 billion barrels of oil and 292 trillion cubic feet of natural gas offshore reserves, and has a strategic location connecting Central Asia and the Caucasus with the Mediterranean. Since the collapse of the Soviet Union, the legal status of the Caspian Sea has remained ambiguous, creating obstacles for oil and gas exploitation and preventing the development of major projects in the region. 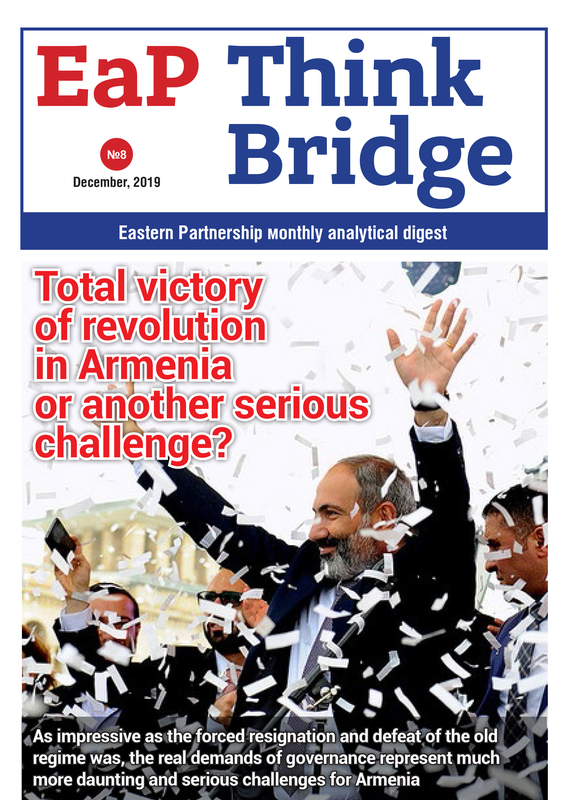 In this article, we analyze the retrospective of the issue , look at the major stakeholders in the solution process, and discuss the importance of the agreement on the region. The legal status of the Caspian Sea was regulated by the USSR and Iran before 1991 with Petersburg, Resht, Gulustan and Turkmenchay treaties, as well as ‘Treaty of Friendship’ and ‘Treaty of Commerce and Navigation’. After the collapse of the Soviet Union, new subjects of the international law, Azerbaijan, Turkmenistan, and Kazakhstan, appeared and the geopolitical configuration of the region changed. Since the Caspian is the largest enclosed body of water in the world and rich in hydrocarbon resources, flora, and fauna, it has taken more than two decades for five countries to come to an agreement. The first summit of all the Caspian Sea littoral countries happened in 2002 in Ashgabat. This meeting was a promising step for the future cooperation. The deputy foreign ministers of five states discussed the draft convention. The protocol signed in Ashgabat also ensured the protection of the marine environment by reducing and controlling pollution. The summit finished with no final declaration. However, the parties agreed to meet in Iran in two years. In 2004 after the death of Turkmenistan President Safarmurat Niyazov and Azerbaijan President Heydar Aliyev, the summit was postponed. The second Caspian Summit in Tehran in 2007 ended with Tehran Declaration that included a preamble and 25 articles. The parties agreed to do their best in order to achieve political, diplomatic, commercial, economic, scientific, technical, and cultural cooperation for the stability and the development of the region. In addition, it was agreed to continue negotiations, especially in energy and transportation issues. Tehran Declaration included ecological clauses related to pollution, marine life, and efficient use of energy resources. The sides made a commitment not to use armed forces against each other and not to allow other states to use their territory for undertaking military operations. Illegal actions such as terrorism, drug or arms trafficking were considered a serious threat to the whole world under the framework of the declaration. Furthermore, it was confirmed that the legal status of the Caspian Sea can only be determined through consensus and until then aforementioned countries can ship, fish, and navigate. Tehran Summit was considered a turning point in the Caspian dispute because countries managed to come to a consensus through the Tehran Declaration. The third Summit of the Heads of the Caspian-littoral states was held in Baku in 2010. The parties signed the Agreement on Cooperation in the Field of Security in the Caspian and a Joint Declaration. In the Joint Declaration, the sides agreed to extend negotiations in order to build the final convention and recognized the sovereign rights of each state in the use of the Caspian resources. And the fourth summit was held in Astrakhan on September 29, 2014. The Heads of five states met in order to discuss issues related to the legal status, natural resources, and the environment of the Caspian Sea. North-South Transport Corridor and the Railroad Ring were among the discussed topics. The final Communique approved in the summit reaffirmed once again unacceptability of military presence of the non-Caspian states in the the Caspian, which served to the interest of Russia and Iran mainly. Since those two have been the most powerful countries in the region, military-related provisions were considered as a message from Russia and Iran to the West. Throughout the negotiation process, several bilateral and trilateral agreements were signed between Azerbaijan, Kazakhstan, and Russia for defining their sectors in the Caspian. However, since these agreements excluded Iran and Turkmenistan, no final resolution was adopted. Two major territorial disputes were Turkmen-Azerbaijani and Azerbaijani-Iran disputes over the Serdar/Kapaz field and the Araz-Alov-Sharg field respectively. In 1997 Azerbaijan State Oil Company signed an agreement with Lukoil and Rosneft for the exploitation of Kapaz field. However, Turkmen side strongly reacted and claimed that the field belongs to Turkmenistan. Azerbaijani President Heydar Aliyev’s offer to develop the field together was rejected by the Turkmen side and bilateral relations downgraded in the following decade. After new Turkmenistan President Berdymukhamedov started to cooperate with Chevron executives in order to develop the field, Azerbaijani side made the collaboration offer once again but got no response. In 2009, Turkmenistan President claimed that the government would apply to the International Court of Arbitration to solve the issue. Another dispute was around Alov (Alborz in Iranian) field since 1998. Alov consists of three fields Sharg, Alov and Araz and is estimated to have 2.6 billion barrels of oil and 2.4 billion cubic meters of gas. At the time, Azerbaijan signed an agreement with an oil consortium company, which enabled the company to undertake seismic explorations in the Alov field. Iranian side opposed the decision and asked Azerbaijani side to cease the agreement until the establishment of the legal regime in the Caspian. When this request was rejected, National Iranian Oil Company launched a campaign to make similar operations in the field, which was faced with reactions from the Azerbaijani side. The relations between the two countries deteriorated and the conflict experienced the culmination when Iranian military aircrafts threatened two Azerbaijani vessels researching the field for BP. After the event, BP’s operations and development in the field were frozen. Only after Ilham Aliyev’s 2016 visit to Iran, parties proclaimed that they have agreed to use and develop the field without giving further details on how. The 18-page Convention adopted in Aktau sets the framework for security, economic cooperation, environmental protection, and naval transportation issues based on the principles of national sovereignty, territorial integrity, equality among members, and non-use of the threat of force. However, the convention needs to be fleshed out with additional agreements before talking about the precise division of the Caspian. First, in the convention, the conceptual approach for establishing the status of the Caspian sea has changed. Now, it is not defined as a sea or a lake, but “intercontinental body of water”. This means that neither UN Convention on the Law of the Sea will apply to the Caspian, nor it will be divided equally between the five states as a lake. The participants also rejected the equal distance division idea, which supports determining boundaries based on a median line; instead, the seabed and the surface were treated differently. The seabed was divided into territorial zones while the surface was accepted as international water. Throughout the negotiation process, Iran has advocated dividing the seabed into five equal parts, which opposes the other countries’ claims. However, the northern part of the sea has already been fully delimitated between Russia, Kazakhstan, and Azerbaijan with 2001 and 2003 treaties via using the median line. Since the convention keeps the delimitation process in the control of the relevant countries, the demarcation line is not expected to change much. Because of this provision, Iran is considered a potential loser in the deal. The government was blamed for “selling off” the Caspian by some Iranian social media users. The Caspian is the home to various species of sturgeon, the fish that produces the highly demanded caviar and the sea provides the big amount of the caviar in the world. In the convention, the future of fishing is not precisely determined yet and fishing quota for each country will need to be set. The convention may give rise to the digitalization of commerce, trade, and logistics as well as business operations among the five countries. Russian President Vladimir Putin noted that “Transportation is one of the key factors of sustainable growth and cooperation of our countries,” and he said about the establishment of Caspian Economic Forum in order to “develop ties between our countries’ businesses”. The idea of the pipeline dates back to the late 1990s when the Clinton administration made an initiative for East-West trans-Caspian energy corridor in 1998. First, Turkey and Turkmenistan signed a thirty-year agreement in order to transfer Turkmen gas to Turkey. However, due to payment issues and lack of legal framework, the negotiations suspended. In 2006, Azerbaijan and Turkmenistan Presidents signed an agreement in order to transfer oil from Kashagan and Tengiz fields to Sengachal terminal near Baku and export Turkmen oil through Baku-Tbilisi-Ceyhan route. However, some political and economic limitations disabled the implementation of the project. Russian opposition to the issue, based on environmental considerations, made the pipeline project more problematic. Turkmenistan’s gas policy regarding the processing of all gas before exporting was another obstacle for transporting Turkmen gas to Europe. In 2015, Azerbaijan and Turkmenistan again showed interest in Southern Gas Corridor together with Turkey and EU through Ashgabat Declaration. Still, no tangible steps were made. The Convention mentions that construction and pipeline issues can only be determined by countries through which those routes are passing as long as the construction complies with the environmental standards. This principle prevents Russia from interfering with the Pipeline project that passes through the Azerbaijan and Turkmenistan sectors. Russia’s “give in” may be related to the two factors, the first being changes in the European gas market. Previously, Turkmen gas supply was considered a competitor to Russian gas; however, now it is likely to compete with the US liquefied gas. Second, security was the priority for Russia during the summit, so gas issues were lowered to the second place. Principal Caspian analyst at energy consultancy Wood Mackenzie, Ashley Sherman called the agreement itself “an unprecedented milestone”; yet, he stated that immediate implications in the energy sector would be limited. Military-related clauses of the agreement ban the presence of any third-party armed forces and prohibit member states to commit aggression against other littoral states. Russia and Iran were concerned about the military presence of any non-Caspian states in the Caspian and even about the possibility of Azerbaijan and Kazakhstan cooperation with the US in order to use their territory for the transit of non-military cargo. Thus, these clauses can be attributed to the success of Russian and Iran diplomacy since Russia has the strongest military presence in the Caspian and Iran has been under political and economic pressure from the West. Antonio Guterres, UN Secretary-General called the agreement “invaluable” for adjusting the dispute over the Caspian Sea and “significant step” for solving a wide range of issues among five countries. Vladimir Putin, the Russian President, called the meeting “epochal”, while Kazakhstan President Nazarbayev referred the Convention as the Constitution of the Caspian. Foreign Minister of Russia Sergey Lavrov, on his part, called the Aktau Summit an absolute record among all Caspian negotiations. “Thanks to the convention, an absolutely universal basis for considering any issues of cooperation in the Caspian Sea appeared,” stated Lavrov. Following the summit, Turkmenistan President Gurbanguly Berdimuhamedov made a speech about the outcomes of the Aktau meeting and mentioned holding the 6th top-level meeting of the Caspian littoral countries in Turkmenistan. To sum up, although the Convention on the Legal Status of the Caspian Sea falls short of being an all-inclusive legal framework, it will be a good benchmark for further negotiations and the Aktau summit can be considered the milestone event in the history of the Caspian.